The betting odds are in from Betwrestling.com and 5Dimes and I thank NoDQ for the heads up. The odds certainly provide some interesting insights into the big matches at Hell in a Cell. Roman Reigns is the odds on favourite to win the Universal Championship match according to the betting odds, while AJ Styles is expected to retain the WWE Championship as well. Ronda Rousey is expected to emerge victorious in her match against former RAW Women's Champion Alexa Bliss. Hell in a Cell comes our way this weekend, live on the WWE Network. 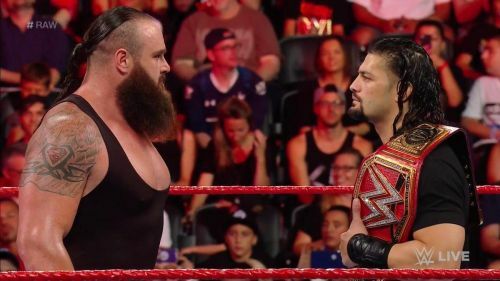 This will be the first time that Roman Reigns defends his Universal Championship at a pay-per-view event. AJ Styles and Samoa Joe have allowed their rivalry to reach a very personal level. Ronda Rousey will defend her championship for the first time at a pay-per-view too. This is a very high-stakes event for WWE. Most people seem to have bet on the babyfaces to pick up the big win. Randy Orton is the only favourite in this list, who's a heel. If Roman Reigns goes on to win the Universal Championship, it will be interesting to see who steps up next. Some have indicated that Dean Ambrose may go heel soon. If so it would be interesting to see a Reigns vs. Ambrose program unfold. Do you want a brand new Universal Champion?